Applies easily and bakes to create a tough coating. If you need to seal the paint on your baby to protect the delicate paint job then this is what you want. Applies easily and bakes to create a tough coating. 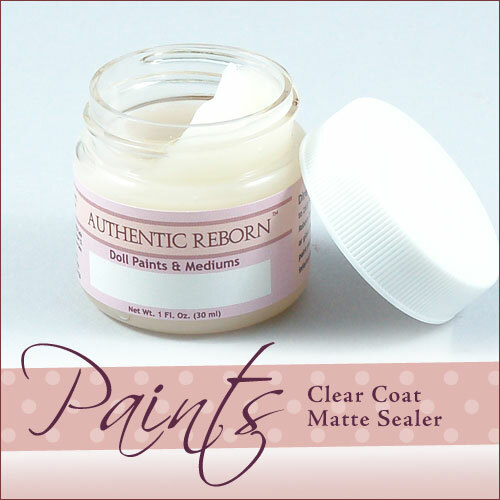 If you are using the Matte Sealer on a doll that has become slightly oily (due to an excess of release agent in the vinyl) please click here for our free tutorial on cleaning oily vinyl.